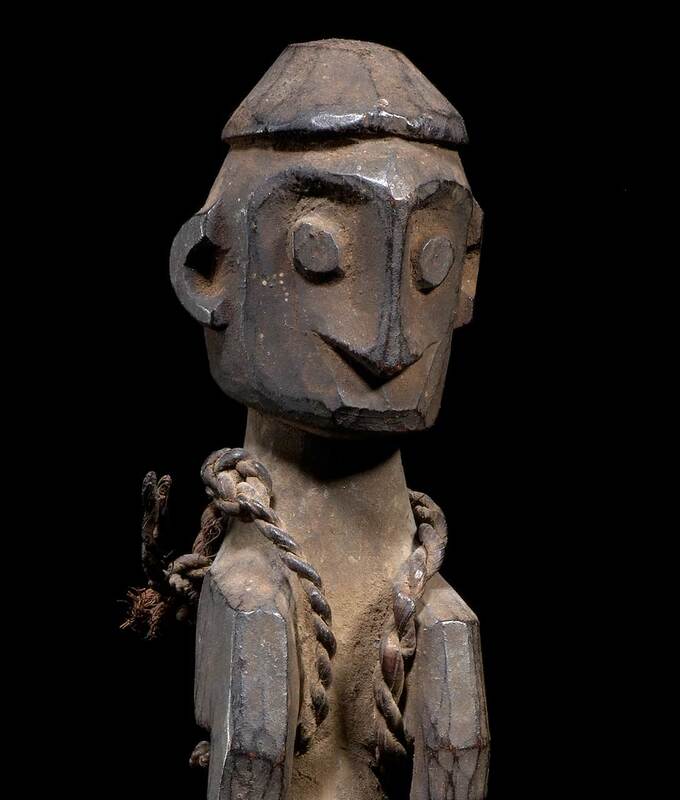 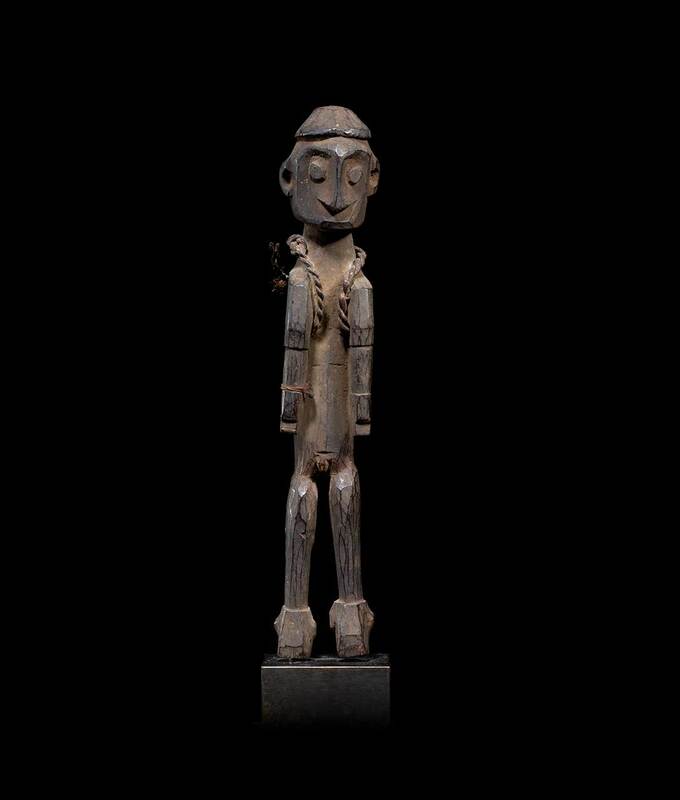 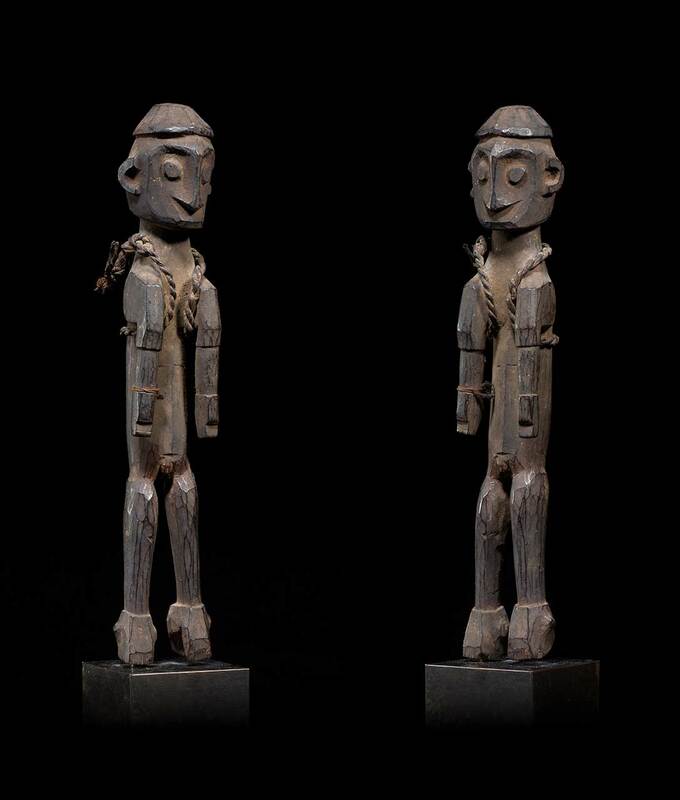 The people of Ata oro island carve couples of ancestor figures, in male and female pairs, distinguished by their garments, loincloth and skirt. 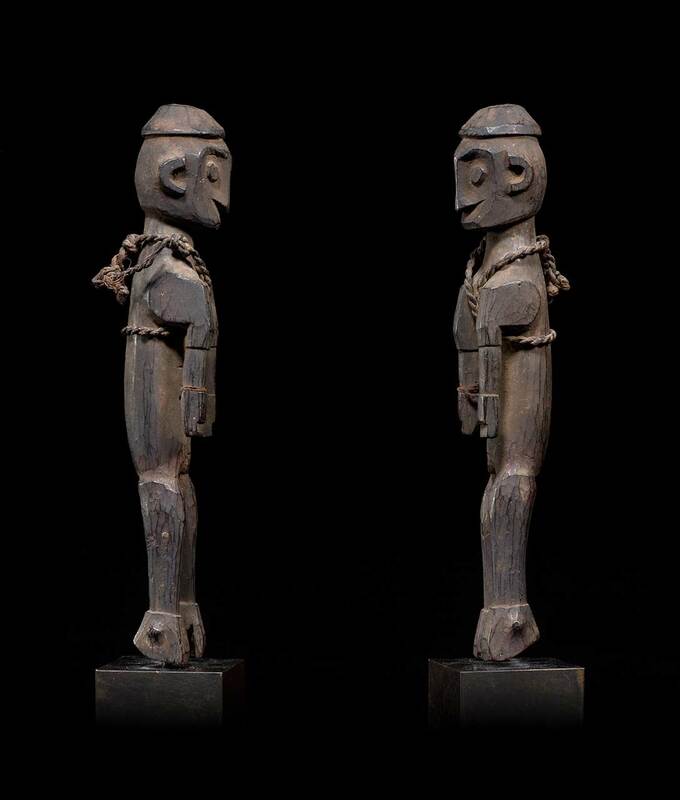 These powerful images, protecting chief houses from thieves and taking part in local cults, were hung from a rack fixed to one of the house posts, thus protecting the lineage linked to the house. 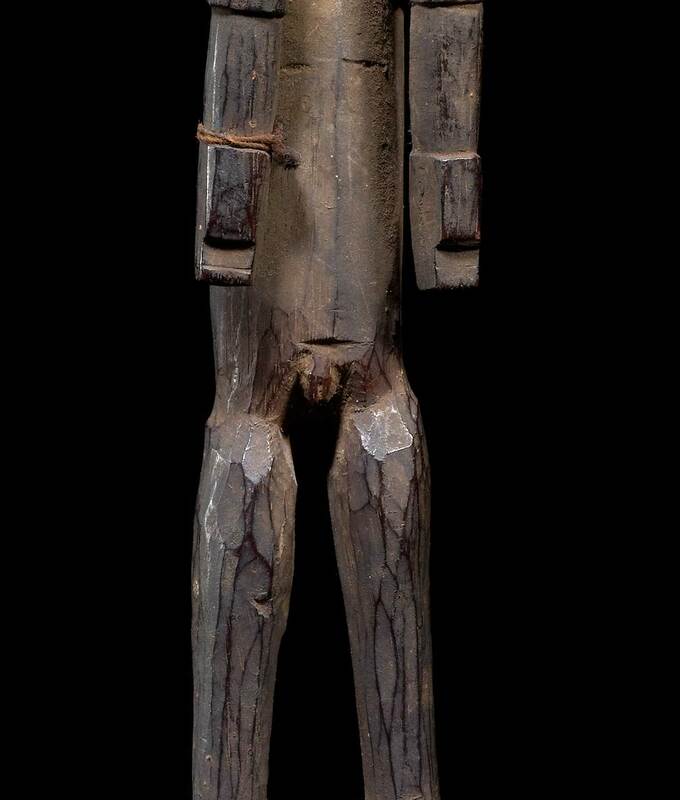 This figure is a female from a pair, it has lost its cloth skirt but still retains a piece of fiber rope around its shoulders. 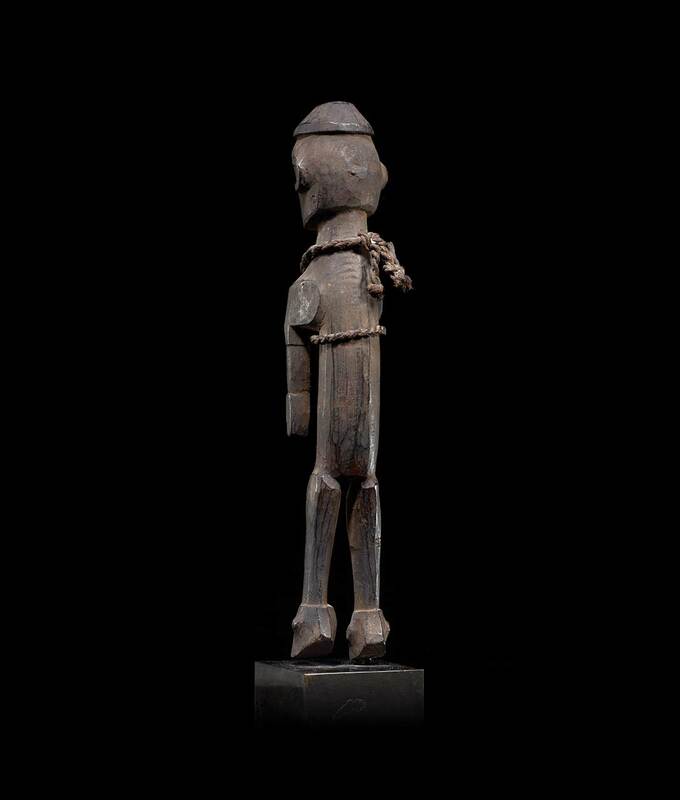 A smooth dark patina enhances its bold yet balanced features.